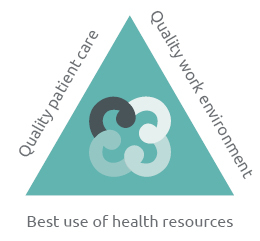 As an NZNO member working in a DHB, I know that getting Care Capacity Demand Management (CCDM) working in all our DHBs is a priority in our multi-employer collective agreement (PDF pg 66). I know that it has been started in most DHBs and I think the implementation has actually been completed in only one so far. It is good work to be doing and it’s important to do it right – better to take the time to get every step correct than to rush it and not get the benefits. We all want patients to have the best possible outcome. This is most likely to be achieved when patients have the care they need when they need it. 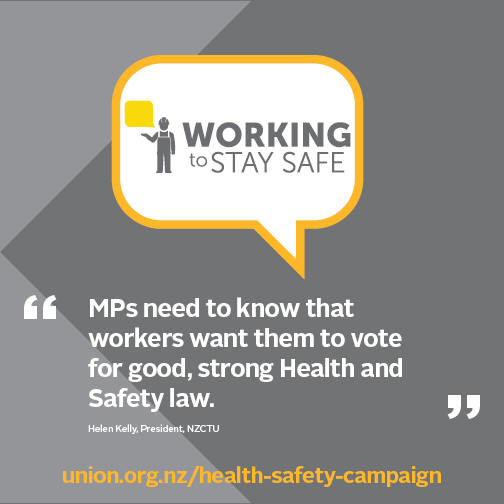 CCDM is the programme that has been developed by the Safe Staffing Healthy Workplaces Unit, NZNO and district health boards (DHBs) to make sure we can actually do this every day (not just on those random, lucky days…). Working in partnership is the key to CCDM’s success; NZNO members and staff working together with DHBs to make safe staffing a reality. It’s about making sure base staffing is right every day. It’s about making sure there are workable strategies in place if the match between demand (what patients need), and capacity (our resources) is not right. And to do that there has got to be good quality data available to everyone so we can see on the day and over time if the programme is working. The whole system depends on the information we provide. I thought I’d share my experience of CCDM at Palmerston North Hospital, so you can get an idea of what to expect when your DHB gets the programme (if it hasn’t already). In 2012 I was charge nurse manager of an acute 32 bed medical ward. TrendCare showed that we consistently didn’t have enough staff to complete the care required; often between 20 and 30 hours short over a 24 hour period! Rosters were pretty much set in concrete and didn’t (and couldn’t) respond to the peaks and troughs in workload. We knew care rationing was happening but there was no way to “see” it or prove it. The opportunity to become the first ward to undertake work analysis and data collection to inform the CCDM programme was floated and our application was successful. There was excellent communication during the process; ward staff were included and actively involved. It was a great example of working in partnership with close collaboration between charge nurse, NZNO and ward staff. Ward staff were given every opportunity to express their concerns and listened to in a non-judgmental manner. Facts and figures were explained and we were given time to digest and seek clarification if we weren’t sure about anything. Unfamiliar data was explained in language that we could all understand. Charge nurse, associate charge nurses, management and NZNO delegates were professional and supportive, and assisted with propelling the process forward – staff joined in at “grass roots” level. The data collection process was difficult and hard work, as I had anticipated; ironing out teething problems, ensuring everyone was on the same page, encouraging the negative staff and the fence-sitters, keeping the momentum going when enthusiasm flagged. The data collection process was generally seen as “just another data gathering exercise”. But as the process developed it was an eye-opener to be able to quantify the many interruptions during each shift. It also highlighted and reinforced what nurses already know; many interruptions means less time for patient care. We also gained further insight into the peaks and troughs of ward work. By the end of the two weeks we had become quite attached to our diaries! Finally, we were able to show care rationing – especially the missed nursing care that had become “business as usual”. It took quite a while for the information we collected to be analysed and some wondered if their hard work had all been for nothing. During this time we implemented Releasing time to care which helped keep a sense of momentum. As soon as the results were confirmed we swung into action and developed a new model of care. The entire nursing team got together, and with butchers paper and models, felt pens and timetables, we arranged and rearranged the FTE and the roster to meet workload over the entire 24 hour day and seven day week. We divided up the available FTE into the most efficient and effective spread of regulated and un-regulated staff, thinking outside the square and breaking down traditional shift time barriers. Our new model of care implemented a new role of “admission and discharge nurse” who straddles the morning and afternoon shifts without a patient load, but instead focuses on timely discharges and active “pulling” of patients from MAPU and ED. This means less pressure on the qualified staff, especially on the morning shift. Discharges happen in a more timely manner, and the discharge of complex patients requiring a lot of registered nurse time is now smoother. Patients feel more informed and new admissions are seen and assessed early without having to wait for a busy nurse. The model of care for patients with delirium also changed – instead of being staffed by a ward RN and a bureau Health Care Assistant (HCA) we have our own ward HCA who knows the patients and provides continuity of care for them. To have our own HCA caring for these patients is amazing. The benefits to the patient outcomes, and working relationships between the team are invaluable. The staffing numbers across all three shifts are well thought out. Patient safety has improved significantly with an extra registered nurse at night. The difference to staff morale and motivation as a result of CCDM has been immense! While the ward remains very busy it now operates efficiently and effectively. Complaints, incidents, falls and medication errors have reduced, staff turnover is practically zero and productivity has improved. Since then we have developed a hospital-wide response to variance in collaboration with NZNO. The CCDM variance response management (VRM) tool is a visible and user-friendly process. It still cannot produce nurses out of thin air, but it raises awareness of areas under pressure to all the right people and allows an organisation-wide approach to pooling resources and to providing support where it is needed. Everyone is talking the same language and the tool triggers a response at the top of the cliff instead of the bottom. I’ve heard a lot of feedback about CCDM over the last couple of years but the comment that has had a lasting impression, and the thing that I think CCDM stands for above all else for nurses is: “Since CCDM it feels like I’ve actually met the patients and I don’t go home with that horrible feeling that I’ve missed something”. As the charge nurse for that ward I take pride in the fact that I was responsible for making that happen. We need senior managers to influence change at the executive table, but the charge nurse is responsible for driving change at ward level with enthusiasm and passion, leading from the front and never giving up. If you are involved with CCDM in your ward or unit, I’d love to hear how it’s going. You can leave a comment by clicking the “leave the comment” link to the left of this article. Tags: Carepoint, CCDM, NZNO, safe staffing, SSHWU | Permalink.